LOl it could be worse! when my parents lived in Saudi they only had alcohol bought on the black market or brewed themselves! When I moved up here to the mountains, I didn't really think much about it being a dry county, until I got a craving for a bottle of wine. It was a 40 mile drive to the closest store just to get anything. You just don't think of those things until the urge hits! My sister used to live in a dry county in Texas and I remember having to plan ahead if you wanted wine with dinner. I would like to see your trunk on a stocking up trip, Toby! Thanks, Sue! 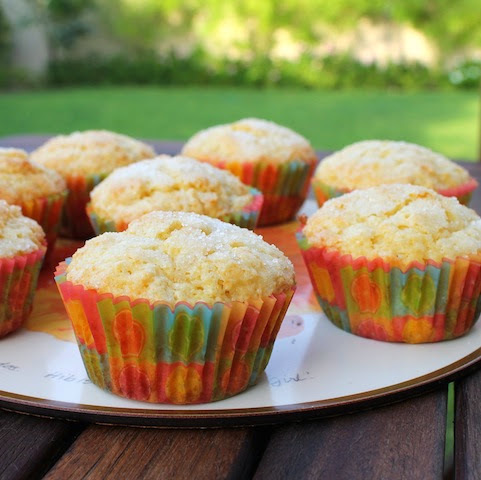 We loved these muffins. Hope you enjoy them as well. That's crazy that you can't buy alcohol easily! I love baking with alcohol and Grand Marnier has such great flavor. Know these muffins must be delightful! Wow, I had no idea it was like that in Dubai. How interesting! I love Grand Marnier, but wish it wasn't so expensive. It seems like there's nothing to between the $4 bottle of no-name Triple Sec (which is kind of gross), and the $40 bottles of Grand Marnier and Cointreau. I will NEVER again complain about having to run out to the liquor store! The middle east really is like another world when it comes to alcohol! It's crazy! I love baking with alcohol...though I've never delved into Grand Marnier. 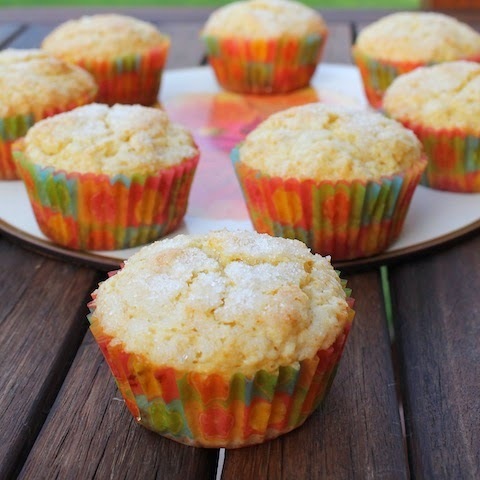 These muffins look worth a first try! Any orange liqueur is great in orange muffins, Joanne. Give it a try! You crack me up, Nancy! But I must admit I am happy about it too. Some larger liquor stores might sell the airplane bottles as well, Lori. Which come in pretty handy for baking. It's also pretty good used straight as a glaze, Kelli, but then you get the stronger alcohol flavor which some people might not like. There are indeed trade offs! Over all, I am happy with the life we've chosen though. So I guess that's a good thing. G'day! These looks terrific Stacy and are now on my list to do! Will be great for parties, entertaining which we do the whole year through! Thank you! Hope you enjoy them, Joanne! Hi, can I use self raising flour for this and omit the baking powder?